The North West government has been accused of protecting director-general Lydia Sebego after she allegedly breached tender regulations related to a multimillion-rand hospital revitalisation project. A forensic report that was compiled in 2014 has already led to the expulsion of several junior officials for alleged wrongdoing. At least two more officials have recently been notified of the provincial government’s intention to institute disciplinary action against them. Sebego, however, then the head of the province’s health department, remains untouched almost four years later. 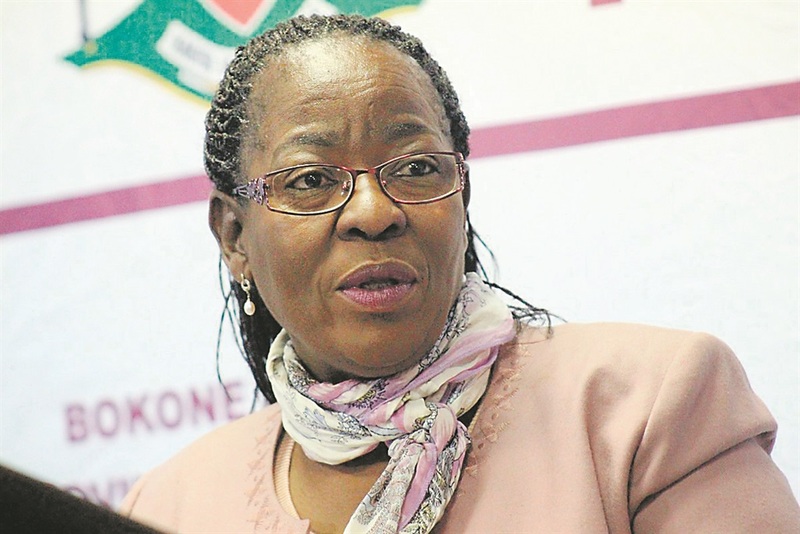 Premier Supra Mahumapelo appointed Sebego as director-general of the province in July 2015, a year after she was named in the report, which was compiled by JGL Forensic Services. In the document, the company raised concerns about noncompliance with tender evaluation methods and with Construction Industry Development Board (CIDB) grading requirements. It said these were “not taken into consideration”. According to the report, smaller companies were awarded big contracts. However, their CIDB grading indicated that they only had the capacity to handle smaller projects. In addition, at least one company was awarded a tender four months after its CIDB grading certificate had expired. The hospital revitalisation grant amounted to just more than R225 million between 2006 and 2013. It was for the upgrading of the Vryburg, Bophelong Psychiatric, Lichtenburg, Moses Kotane and Brits hospitals. The health and public works departments in North West were responsible for implementing it. In its report, JGL indicated that seven of nine contracts for the Vryburg Hospital did not comply with CIDB grading requirements. Contracts were awarded to companies that did not have the required grading for the job. For example, the invitation to bid for the heating, ventilation and air-conditioning tender at the hospitals stated that the job should be done by a company with a 4ME CIDB grading, but it was awarded to a company with a lower grading. The same happened in the kitchen and laundry equipment tender. “The main contractor for the construction of the Brits Hospital did not hold the required CIDB,” the report states. The project was worth R456 548 505 and required a CIDB 9 grading, which is for contracts exceeding R100 million. The contractor who won it held a CIDB 8 grading. The investigators said that, when they approached the two departments, their officials were “unable to provide us with a complete list of all contracts awarded to all service providers, contractors, subcontractors and other associated entities with whom contracts were entered into for goods and/or services for the five hospitals under review”. They described the expenditure files they found as “incomplete, misfiled and in a general state of chaos”. The lack of a list of contracts meant investigators had nothing to reconcile the expenditure records with. Sebego and the province’s then public works department head, Obakeng Mongale, were responsible for procurement. This, according to the report, was “irregular in respect of the application of supply chain management prescripts and compliance with the CIDB”. As a result, some contracts were terminated due to poor work performance and the inability of some contractors to deliver on time. Subsequently, the project was declared “fruitless and wasteful expenditure”. Sebego and Mongale’s names appear seven times each in the summary of the forensic report. It stated that they both failed to comply with the provisions of the Public Finance and Management Act and the Division of Revenue Act. The investigators recommended that disciplinary procedures be instituted against all senior officials implicated in the wrongdoing. Mongale left the North West administration. He could not be reached for comment. North West government spokesperson Brian Setswambung could not directly respond to questions about Sebego, and could not say if any action was taken against her, as recommended in the report. “The provincial government remains committed to implementing the recommendations of all forensic investigations conducted previously and currently. The report in question was completed in 2014 ... action was taken against some officials and is also currently being taken against other officials who are implicated in wrongdoing,” Setswambung said. Is it fair for the North West to expel and only discipline junior officials, and how should it deal with director-general Lydia Sebego?